BMW have a special surprise for the Bimmer (or the BMW enthusiasts) on this year. On their 30th anniversary revealed the latest design of the BMW M5 leaked. 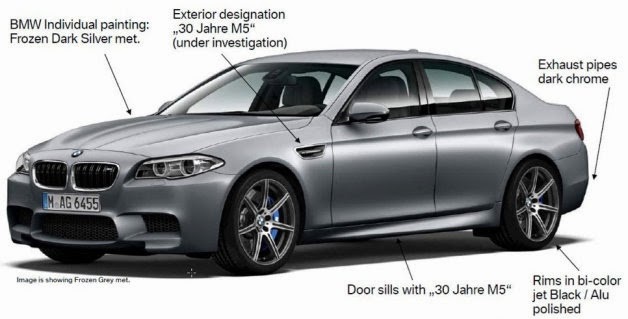 As reported by the Autoblog on Tuesday, May 6, 2014, the German automobile manufacturer redesign the M5 engine to increase the power output of 32 hp. With the increase in the output, then the power that can be produced by the BMW M5 is jumped to 592 hp, and BMW claimed the total power output is larger by 17 HP from the competition package of BMW M5 that available today. 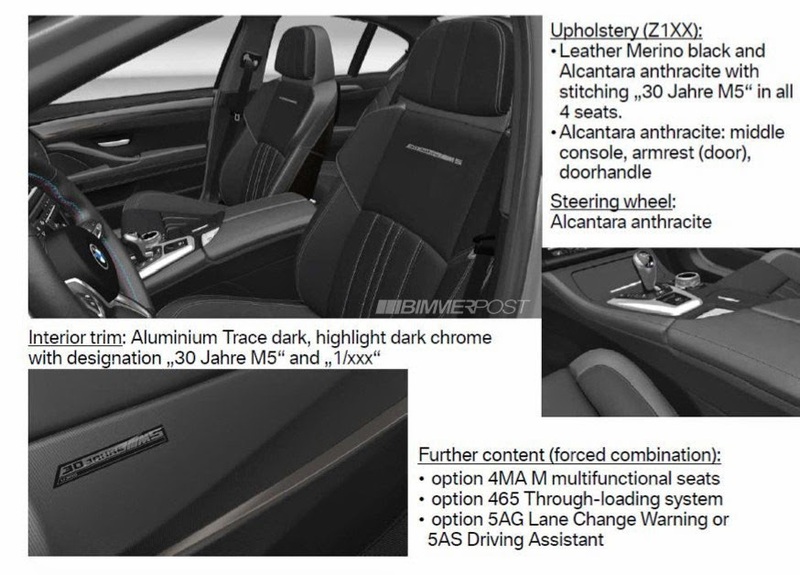 Next to the transmission section, according to the rumors that grow among the Bimmer, BMW M5 will be present with a dual-clutch gearbox transmission system. Transmission will also be worn on the M5 which will be sold in the United States. Especialy on this anniversary edition, the BMW M5 is not much to get a striking variation on the exterior side. BMW just pinning 30th Anniversary emblem on the side of the car and painted the M5 with Frozen Dark Silver Metallic colors, whereas in the foot wear size 20-inch alloy wheels with a dark chrome color ever show stern aura. Meanwhile on its interior, the BMW M5 wearing a combination of Merino and Alcantara leather upholstery. 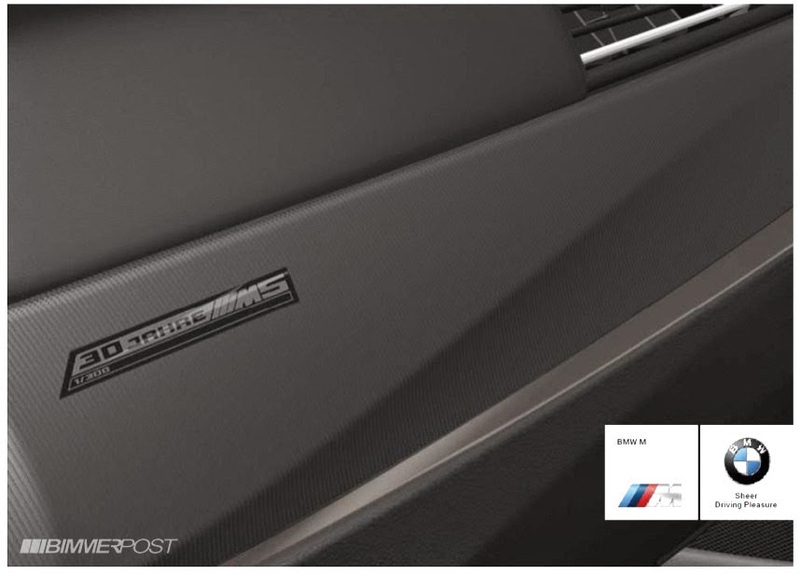 To see more affluent, the door trim and center console of the M5 interior wearing dark aluminum colors and also installed special edition emblems.